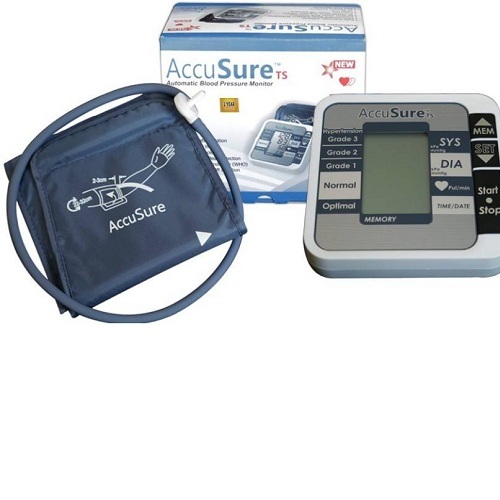 A digital blood pressure monitor Accusure is lightweight and portable. It has a display to show the blood pressure readings. The cuff is comfortable to wear and this device has a good accuracy level. Use it to test your blood pressure at home.